We welcome your phone calls and emails to our Minneapolis Bankruptcy Attorneys office. Our Minneapolis office is not downtown and has free parking. We are on Nicollet Ave 2 blocks north of 46th Street, and very close to the 46th Street exit from 35W. Why not make an appointment to learn if bankruptcy is right for you. Find out more about Walker and Walker Minneapolis Bankruptcy Attorneys. We would appreciate it if you filled out these forms and brought them with you to your Free Evaluation. This will help us and you better understand your financial situation and determine whether Chapter 7 Bankruptcy or Chapter 13 Bankruptcy is right for you. Avoiding calls from creditors, living in fear of losing your home, or constantly worrying that your bank accounts may be levied are all signs that you may need to contact an experienced bankruptcy attorney. Whether you’ve got more debt than you can repay, you’re behind on your house payments, or you fear losing your vehicle due to non-payment, there may be an answer to help you get the financial relief you deserve. At Walker & Walker Law Offices, PLLC, we understand how stressful debt can be, which is why we want to help you put your financial worries aside so you can focus on the more important things in your life. Our highly skilled bankruptcy attorneys understand the difference between Chapter 7 Bankruptcy and Chapter 13 Bankruptcy and can help you make the decision that’s right for you. If you’re looking for a Minneapolis law firm you can trust to help you with your Minnesota bankruptcy, you can end your search today. We’re ready and able to help you take the first step toward eliminating your debt and rebuilding your credit for a better financial future. Receiving multiple calls a day from relentless debt collectors can have a significant impact on your ability to focus on work and other responsibilities in your life. Fortunately, when you put your trust in Walker & Walker Law Offices, we can help put an end to those calls and set you on the right path to a fresh financial start. Many people just like you struggle with the decision to file for bankruptcy because they worry about losing their home or property. If you’re like many people, you may also be worried about losing your vehicle or no longer having the financial savings that you worked so hard to build. Fortunately, at Walker & Walker Law Offices, we have the skills and experience required to help you get the debt relief you’re looking for, while still allowing you to keep some or all of your assets. One of the greatest advantages of filing for bankruptcy is that it gives you the opportunity to start fresh, so you can rebuild your credit for a healthy financial future. At Walker & Walker Law Offices, we know all the right steps you need to take to make that happen. We also understand the importance of being there for our clients when we’re needed the most, which is why we’ve made it easy for you to contact us in your own way and at a time that’s most convenient for you. When you call us at 612-824-4357, our friendly, knowledgeable staff will be happy to take your phone call during regular business hours. Should you happen to contact us after hours, we’ll return your call immediately on the following day. We’re even happy to schedule a conference call with you in the evening or on weekends if that’s what’s best for you. When you fill out our form, a member of our team will respond promptly during business hours. Take the first step toward debt relief by contacting us to schedule your free evaluation. We simply ask that you fill out these forms and bring them with you to your appointment. Don’t waste another moment agonizing over your debt. 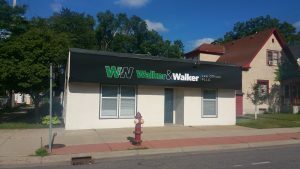 Contact us to get the fresh financial start you deserve, and one of our Walker and Walker Minneapolis Bankruptcy Attorneys will be happy to assist you as quickly as possible.